How are you adding Autumn touches to your home? 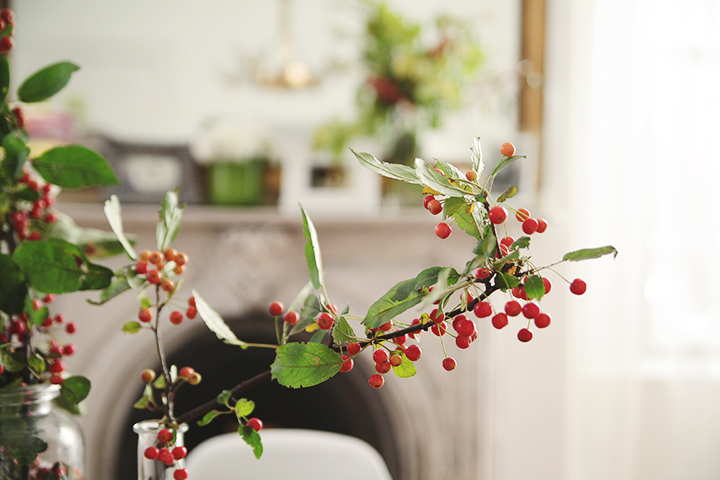 We’ve sprinkled ours with some Fall foliage arrangements- all in clear glass vases. I’ve recently discovered H&M Home online and just fell in love with some of their decor pieces. The prices will blow you away. Definitely drool-worthy stuff minus the steep price tags. Here are the three pieces displayed on our table- all from H&M! I love how simple and beautiful it looks. I love the little touches you’ve done. I need to figure out ways to decorate for autumn. Your dining room looks so bright and happy! It’s so fun watching you guys put your personal touches on it. Love your style! It’s looking great particularly when you have gold metal as a background to bring out the glass.